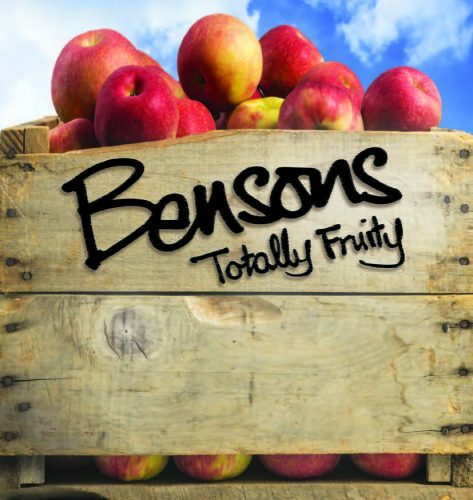 Home » Portfolio » Bensons Fruit Juice Ltd. While working on an interim sales project for Bensons, Cope Sales and Marketing could see gaps in their marketing collateral. We had meetings with the team to really cut to the chase in terms of what they wanted to achieve for their business and their individual brands. We came up with a number of creative pieces of marketing collateral for Bensons including mini brochures for exhibitions, roll-up banners, packaging and rebranding projects. We are delighted with the professionalism and creativity Eilis and her team brought to our marketing efforts. They helped us see the benefit of what really smart marketing collateral could look like which positioned us much more strongly in the marketplace. We were also delighted with the 'Refresher' rebrand and new name - developing a product with a new blend which would appeal to teenagers and adults alike. One of the Bensons products was in need of a rebrand in order to appeal to the teenage and adult market so it had to have a level of sophistication which would bring it bang up to date. 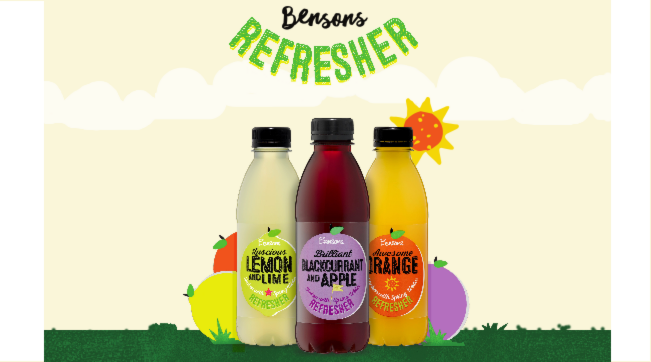 We created a new name and an individual look for four different varietals which were vibrant and eye-catching for Bensons ‘Refresher’. Bensons is an exciting company with a great team who are full of energy and always busy! They have a great story to tell about the healthy juices they produce with no added sugar, preservatives or additives. Cope Sales and Marketing helped them create a mini brochure which would have a multi-functional use at exhibitions or to promote to potential new customers. Bensons attended many trade shows and some exhibitions and needed some marketing collateral to show off their great brands. Cope Sales and Marketing helped them create eye-catching banners which told their story and was in keeping with their branding.